Adrian works year round, 24 hours a day to provide the locksmith solution you need, including emergency lock changes and door repairs. 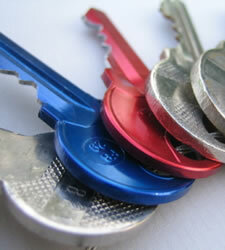 Whether you have lost your keys, or are the victim of a break in Adrian can help, and with no call out charge. Also upgrading locks to British standard 3621 for insurance needs or your own peace of mind. As well as fixing locks, Adrian can also install a range of locks to secure any window or opening in your property. Helping to bring down insurance policies for both commercial and residential properties.